Here is an interesting early character design I just stumbled upon. It breaks the "rough" chronological order of these postings, but it was too great to ignore. 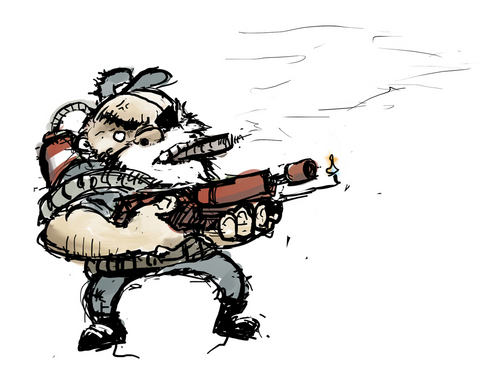 Without further ado, I introduce, Disgruntled Flamethrower Man.